Back from the day of Windows 7 development, Windows 7 Service Pack 1 is in news for different reasons like leaked Screenshots, leaked Windows 7 SP1 Build 7604.16543 or roadmap leak. Wzor the prime source of multiple Windows 7 Build leaks also continues to leak Windows 7 Service Pack 1. Now it’s Windows 7 SP1 Build 7601.16556.100421-1510 v.172 leaked by Wzor. From build number it looks this build of Windows 7 SP1 was compiled on 21st April 2010. Nothing new can be found in this leaked Windows 7 Service Pack 1 builds except bug fixes. Here are hashes of Windows 7 Build 7 Build 7601.16556.100421-1510 SP1. 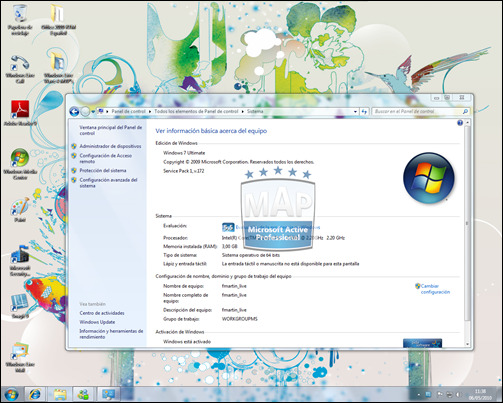 A Beat and Release candidate of Windows 7 Service Pack 1 should be expected any time soon where RTM version may come the end of October, or early November of 2010. Next Entry: Download Steam for Mac Client Now- Get Portal for Free Until May 24th! !